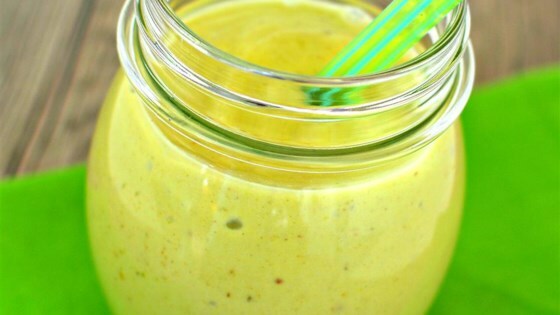 "This thick smoothie is not the most appealing in color but has a rich nutty flavor and is a great quick meal for vegans wanting a calorie-rich smoothie to go." Blend almond milk, avocado, banana, peanut butter, ice cubes, and vanilla extract in a blender until smooth. This thick smoothie packs plenty of flavor. Best served chilled.